Okay, it's honesty time. 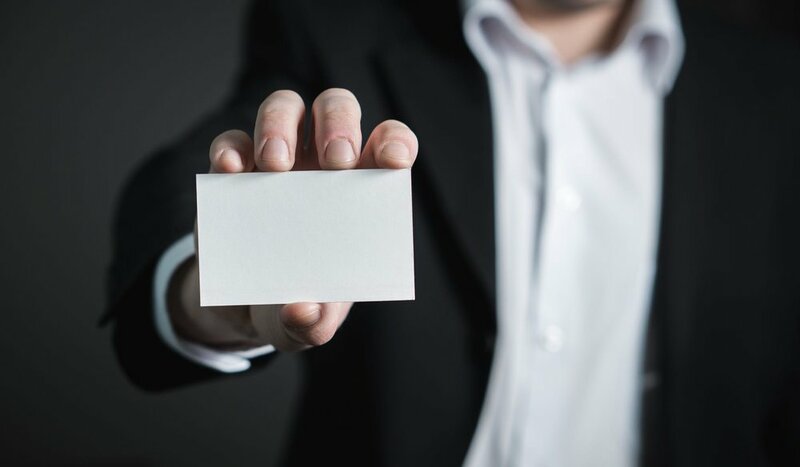 How many of you will admit to having a large stack of business cards that you've collected from all of the recent networking events and now they've been sitting on your desk for the past few days, weeks or even a few months. I'm raising my hand right alongside with you. I try to keep my office as organized as possible and one way of doing this was by moving "the stack" to different spots on my desks. Sound familiar? But, do you know what happened? Dust is starting to grow under the stack. This isn't good. Why is it so difficult to pick up the phone or send an email to a fellow business owner that you met? You must have liked the engagement with them because you had a conversation, exchanged business cards and probably gave a verbal commitment that you would call them to set up a time to talk further. It happens to everyone, even too me. I'm not perfect and neither are you. So let me help you clear the stack. The best way to approach this situation is to first ask yourself "why haven't I followed up?" When I ask my clients this question, and of myself this morning, I typically here a few responses but they all are saying the same thing. "What will the other person think of me for taking so long to follow up on the promise I gave them?" I get it, you want to be professional and that small voice from childhood that told you to always be a nice person is coming through loud as a microphone and it all just feels like shame. So what do you do? How do you snap yourself out of the funk? Simple. You must pick up the phone (or send a email)! I wish I could tell you there is a magic formula or what blend of a green drink to take to align your inner spirit with the will to do this. But, that's not how our community operates. What I can tell you is that in this moment remind yourself of why you're a business owner in the first place. Your why has to be bigger than your ego, and right now the ego is winning. I can say this because my ego has been winning BIG time in this department over the past few weeks (okay actually the past few months if we're going to be honest). I allowed my schedule to get full, I gave myself excuses when I had a few breaks in the day that I could have knocked out contacting a few people, but I decided not to. Ego can be tricky. Ego made me feel comfortable to believe the excuses I gave myself. Ego won and my business failed in that moment, but I can turn it around and you can too. Need help in this area? Below is a email template that I've used, feel free to edit it as needed and change the wording so that it comes across in your unique brand voice. We met a few months ago, apologies on the delay in reaching out to you to set up time for us to chat. I’ve literally had your card on my desk with a note attached that I had to reach out to you. Are you free later this week or early next week for a virtual coffee? I would like to hear more about (enter company name) and also to share with you about my firm. Below is the link to my private calendar, just select ‘consultation' and I’ll know that’s our time to connect. Hoping we can find a time. The best way to move forward in your business is to take action in the moments that you don't feel like it. Trust me, having a successful business isn't about your feelings its about doing the things that must be done when we don't feel like doing them. If you use the template post a comment below or email me at hello@vosgroup.org and let me know how it works for you. Newer PostMarketing Funnels. The top mistakes to avoid.